5 classes a week. 3 Coaches. Meaningful Seasonal Movement. Rapport building. Playful. Human connection. 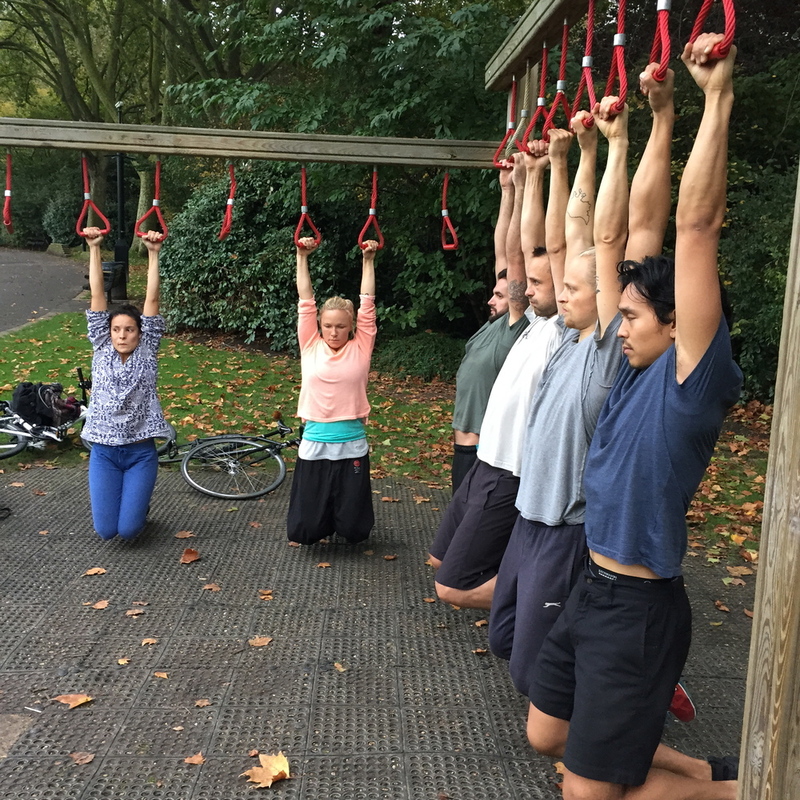 Movement training and Tree Climbing in London locations. Experience meaningful outdoor natural movement (although we have indoor group movement classes too). Join our group training and get moving with our friendly bunch or get my full attention with a private 1-to-1 session or online Skype consultation / coaching. Reclaim your capacity to move with flow over grass, rocks, and trees, play with sticks and stones, and learn to develop yourself through contact, rough & tumble play, dance and combatives. Reconnect with nature and develop your aliveness in movement to become more resilient embodied human.. As an Evolve Move Play coach, I am passionate about teaching people how to move like a human. 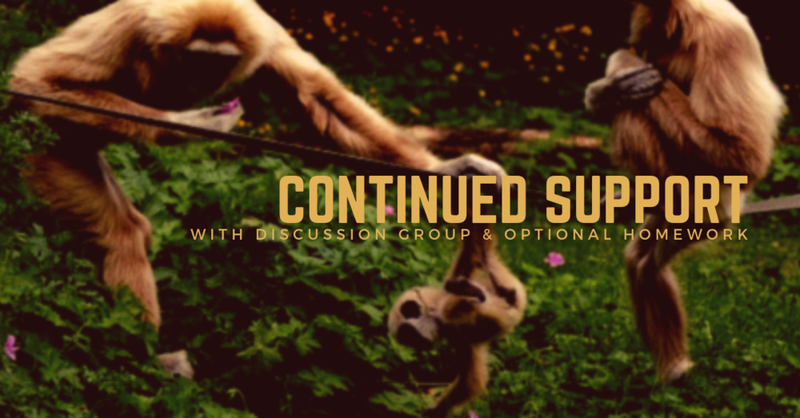 We explore relationships - the connections, interactions and interdependence between body, community and habitat - through the lens of a movement practice to attempt to explore how we perceive and communicate. Whether the individual or a group, inside or outside (although we prefer to Move With The Seasons), the lens of a movement practice or just movement, is a larger vehicle than most would think to explore questions (and not worry too much about the answers) and observe ourself in the world. On the surface we explore cultivating a movement practice - which ultimately you will decide what that means to you - but let’s just say we have movement classes, workshops and events which cover a wide range of movement training disciplines, practices and influences, infused with my own personal beliefs and what I am currently passionate about in my own movement practice. The practice changes and evolves, having a system or method is too static for me. Life isn't static and like life, our movement practice contains patterns, cycles, rhythm, ying and yang and with it opportunity for awareness, adaption, harmony and hope to *‘Understand and be understood’. But so what? What does that mean to you? Really **‘I teach/coach nothing’ and I can’t make you learn anything. I can propose direction, facilitate opportunities and give you feedback that is just my opinion. Classes/events are are a safe space to rediscover playful and natural movement in the context of nature and the season with a supportive group. To suggest movement practices and scenarios that I hope provide opportunity to serve you as a mirror for self discovery - the potential for discovery through embodiment, discovery of traits and qualities we have and/or wish to keep hold or let go of. Exploring the relationships between body, tribe and habitat - whether a self, group and/or environmental (locomotive) practice - and how they sculpt one another. *Does what we practice explore qualities and relationships we can carry over into life? How do we adapt to change if we don't expose ourself to variety and adversity and stick to comfort and the known? Is it useful to recognise parallels between your life and the changing seasons? As big and bold as these ideas are, ultimately we are a huge believer of PLAY - something perhaps most adults don't realise is missing or don't think is important now they no longer are children. Helping you rekindle this often atrophied play drive for me is key to a engaging, sustainable and nourishing practice - one that is driven by intrinsic instead of extrinsic rewards. An activity driven by play will make us want to do it over and over again. We can speculate that play is nature’s optimal state for learning. Play is being in ‘the zone’ highly engaged in whatever it is you are doing, for me the true meaning of ‘Flow’. Perhaps there is an alternative to the chore and bare minimum attitude of exercise in a sedentary culture. Maybe we can enjoy and maybe even LOVE our physical practice and make partaking in it a pleasure. With doing what you love as a foundation, we can fill in what’s missing with training for specific goals and supplemental exercises to restore and maximise our potential - the balance between a classical and romantic approach - but in a world where perhaps we are overly saturated with the classical and reductionist approach, I think we need a bit more romance! The group - without the privilege of being involved with the wonderful people that come to classes and events etc it would be difficult to explore these relationships. Adults need play perhaps more than ever and we are good at it when we remember how. Playing together encourages positive social engagements to grow and to learn together which is vital in a very narrowly socialised, touch deprived culture. With a culture that is overly concerned with fear and shame, the support and encouragement of the group is even more crucial to rediscovering childlike qualities we admire and embrace such as curiosity, hunger to learn, honesty, open mindedness, energy, imagination, behavioural flexibility, humour and playfulness, and so on. My movement classes and private lessons in London cover a wide range of movement training disciplines and influences infused with my own personal beliefs, giving my students what they need to improve their movement quality, rediscover their play drive and achieve their goals. I'll expose you to what I know, but you will ultimately decide what moves you. I am inspired by and passionate about the systems and teachings of several of my peers and mentors, and these elements are encapsulated in what I offer. I am constantly developing my own practice which is the foundation of what I share with others, to always ensure I'm passionate about what I'm teaching. My practice constantly evolves around topics and disciplines that develop my internal freedom of movement, body control and the use of imagination (a Self Practice). Practice with a partner or group and learning to move through my environment whether city or woodland. All help me understand finding a meaningful experience through being present and seeking flow. This is what I also hope to share with others. Spring awakens and resurrects our practice after the energy dip of winter, bringing the excitement to 'spring' into action. Join us to rediscover and embrace moving with the seasons. I love all seasons and the variety it brings. Here are some things we got up to at previous Move With The Seasons workshops. which season do you move the most/least in? My approach is to connect people with what it feels like to move like a human again, to rediscover one's innate play drive we had as children, to rekindle connection with nature to give this movement and play context, and develop a movement practice that ultimately gives a meaningful experience. 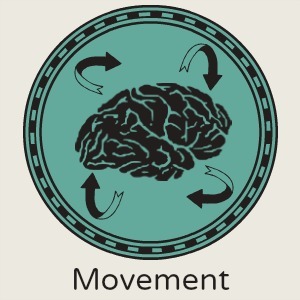 Rebuild the prerequisites (joint mobility, strength & body control) for the many variables and chaos we encounter, leading us to reclaim the basics of natural human movement and ultimately aspiring to freedom in movement and true engagement/fun. Taking inspiration from my teachers Rafe Kelley, Joseph Bartz, Tom Weksler, Jozef Frucek and others, and following and applying the work of Ido Portal, I continue my tutelage from the people that inspire me. I am Rafe Kelly's first and only Evolve Move Play coach and a Functional Range Conditioning Mobility Specialist (FRCms). I run twice weekly classes exploring a variety of movement influences - natural movement, parkour in natural environments and tree climbing, gymnastic strength, FRC mobility development, rough and tumble / roughhousing, group/partner games and play, and also offer private sessions/programmes for my 1to1 and online students. Nature Jam - Family, friends, community. All are welcome - come and join us for this FREE meetup, usually every first Sunday of the month. Check the event on my Facebook page for more details. Meet 12pm at entrance opposite Hampstead Heath Overground Station by the railings. Sign up with your email address to receive news about events and courses, updates and extra goodies. We respect your privacy and will only send you what have signed up for. Move with Seasons is an event to rediscover playful and natural movement in the context of nature and the season with a supportive group. Featuring Natural Parkour and treelclimbing, group and partner games to observe how you communicate and potential building solo work to give you a map to help cultivate your daily practice. Spring awakens and resurrects our practice after the energy dip of winter, bringing the excitement to 'spring' into action. WILD WOODS is a unique new concept course; essentially it is a celebration of wood and trees. It is about cultivating deeper connection with self, community/tribe and your habitat. From learning to move effeciently in a woodland area, arboreal locomotion and treeclimbing, to learning the art of axemanship and knifecraft, fire by friction, tracking, forage woodland wild food, cooking on wood fires, and banqueting on spit-roast venison, and learning about the individual tree species themselves, from lore to uses. There will be camping in suspended Tentsile tree-tents with the balance of evenings spent unwinding at a luxury 4* spa before retiring to the campfire circle. Move With The Trees is a mini workshop by Ben Medder - and offshoot to its parent full day workshop, Move With The Seasons - with the focus on introducing Tree climbing / Arboreal Locomotion and reconnecting to our ancient arboreal heritage. Open to to all levels of experience, whether you are not sure you are ready to climb to those looking for one of the most diverse ways to challenge and nourish your body. Summer practice brings more expression, where energy is at a high and physical creativity is easier. I am a Functional Range Conditioning Mobility Specialist (FRCms), which is a long way to say I use the gold standard in mobility development, rehab and joint health to compliment my students movement practice and help people control their body so they "can do anything"! Taken from Functional Anatomy website. Weekly short films around movement & other stuff with original music. All created and performed by Adam Skinner & Ben Medder.